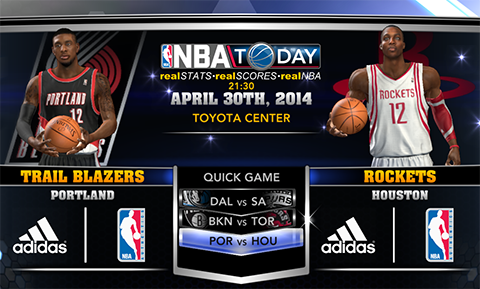 2K Sports has released a new roster update for NBA 2K14 to coincide with the first round of the 2014 NBA playoffs. There are some player rating adjustments that went into this update - which focused primarily on the 16 playoff teams, and updating the team rotations. Shooting guard Troy Daniels who has been a huge contributor for the Houston Rockets in the late regular season and playoff games has finally been added.